If you lose your balance and fall down, you may suffer what physical therapists and doctors call a FOOSH injury. The word FOOSH, while fun to say, is actually an acronym for fall onto an outstretched hand. It occurs when you fall down and try to break the fall by reaching down with your hand. This may result in an upper extremity injury such as a sprain or a fracture. A FOOSH injury may be a serious thing, so don't let small problems become big problems; get your arm checked out by someone if you have suffered a FOOSH. Your doctor will likely obtain an x-ray of your shoulder, arm, or hand to check the bony anatomy to see if something has broken. He or she may also perform special tests as part of a clinical examination to rule in or out soft tissue injuries like a sprain or muscle strain. Failure to get appropriate medical treatment after a fall may result in long-term loss of function. Colles' fracture: a fracture of the wrist where the end of your arm bone is displaced backward. Smith's fracture: a wrist fracture, similar to a Colles' fracture, where the end of your arm bone is displaced towards the front of your wrist. Boxer's fracture: a fracture of the small bones in your hand. This typically occurs after punching something hard, but if you fall on your outstretched fist, you may suffer a boxer's fracture. Elbow dislocation or elbow fracture: a FOOSH injury may cause your elbow to come out of joint or may even break a bone in your elbow. Collarbone fracture: the forced from falling with your hand and arm outstretched may travel all the way up to your collarbone, causing a fracture there. Proximal humeral fracture: a FOOSH injury may jam your arm bone up into your shoulder, causing a proximal humeral fracture. Shoulder dislocation: a fall with your hand and arm outstretched may cause your shoulder to come out of joint. This may cause a rotator cuff tear or a labrum injury. Regardless of what may become injured if you fall down, you should surely visit your doctor after a FOOSH to ensure that you haven't done some serious damage. If you have been seriously injured, your doctor can make sure you get an accurate diagnosis and can start you on the road to recovery right away. After a FOOSH injury, you may benefit from physical therapy to help you recover fully and to return to your previous level of function. Your physical therapy may vary depending on your specific injury, but generally, your physical therapist can help you return to optimal function after a fall onto your outstretched hand. Your physical therapist will work closely with you after a FOOSH injury to ensure that you get the proper treatment to quickly and safely get back to your normal activities. Making sure your environment is safe and that you have adequate strength and balance can help keep you upright and may prevent a FOOSH. A local physical therapist may be an appropriate resource to consult to prevent falls. Falling can be a scary thing, and it can lead to serious injuries. 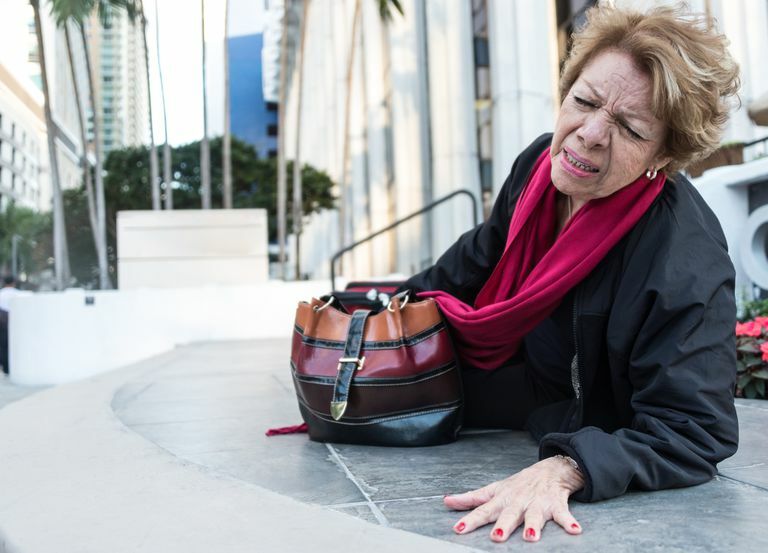 If you place your hand down on the ground to break your fall, you may suffer a FOOSH injury. Luckily FOOSH injuries result in minor injuries. Sometimes, your fall may cause a serious problem that needs to be checked out. If you have fallen or have suffered a FOOSH injury, check in with your doctor, and then check in with your PT to safely and quickly get on the road to recovery. Dealing with joint pain can cause major disruptions to your day. Sign up and learn how to better take care of your body. Click below and just hit send! Vanwye WR, Hoover DL, Willgruber S. Physical Therapist Screening and Differential Diagnosis for Traumatic-onset Elbow Pain: A Case Report. Physiotherapy Theory and Practice. 2016;32(7):556-565. doi: 10.1080/09593985.2016.1219798. Do You Need Physical Therapy or Occupational Therapy? How Does Your Physical Therapist Help With Functional Mobility? How Do You Know If You Need Physical Therapy? How Do Physical Therapists Administer Medication With Iontophoresis? What Is Bed Mobility and Why Is It Important in Physical Therapy?